Electrify America, a subsidiary of German automaker Volkswagen, is going to spend $2 billion to install 2,500 electric car chargers across the United States, including 300 in Denver. 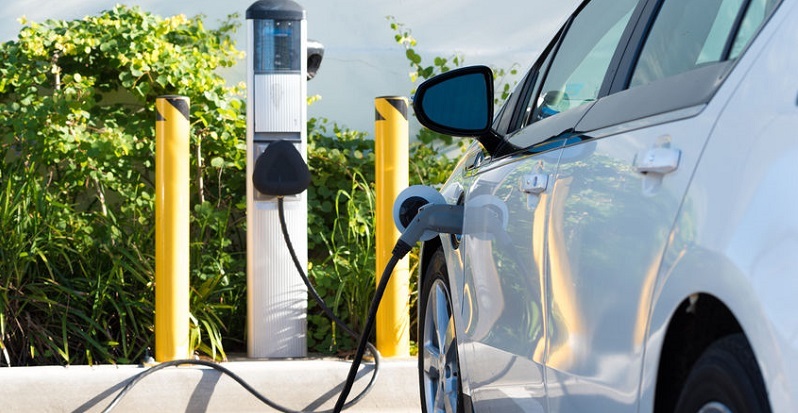 You might consider choosing electric for your next car if you were to know that you will soon have access to 300 more vehicle-charging outlets at strategic spots in the Denver metropolitan area. The development may ensure that the age of electric vehicles and, we can hope, safer driving begins here sooner than most other places. That chance, city officials hope, will help Denver meet its commitment to honor the Paris climate accord to cut carbon emissions, according to a report by The Denver Post’s Bruce Finley. The city said the charging stations will be built across the metro area over the next two years. It will also consider changes to the city building code to encourage installation of even more stations in high-population areas. You might start thanking Volkswagen instead of blaming the German carmaker over its diesel exhaust testing scandal. VW is having to pay $22 billion for tricking environmental regulators in the United States and around the world into believing it had greatly reduced the carbon exhausts of its diesel engines. A nice slice of that pie will be used to pay for Denver’s 300 new stations. Denver and nine other metropolitan areas around the country will get charging stations. Officials didn’t give an exact price for the project, which will be built by Electrify America, a Reston, Va.-based Volkswagen subsidiary. However, high-end commercial outlets can cost $100,000 apiece, The Post said. Electrify America plans to spend $2 billion over the next 10 years to install more than 2,500 chargers at more than 450 station sites across the country. While the United States is signaling it will exit the Paris climate accord, Denver Mayor Michael Hancock is steering the city to full participation by cutting 80 percent of greenhouse gases by 2050, The Post said. He said electric cars and trucks are an investment in air quality and a weapon against climate change. Vehicle exhaust pipes are the second greatest contributor to Denver’s air pollution problems after furnaces for heating commercial buildings, the city said. By speeding up the shift from gas to electric cars, Denver could start exceeding federal air-quality standards and more. Colorado may qualify as an early adopter of electric vehicles, with more than 10,000 plug-in rides registered here, up from 1,200 in 2013. The state already has 500 public charging kiosks, 160 of them in Denver. Colorado has done plenty to encourage electrification. Gov. John Hickenlooper and the Colorado Department of Transportation have been promoting it for years. The Legislature enacted a $5,000 tax credit for electric car buyers, which, combined with federal tax savings, could let buyers save as much as $12,500. Because electric vehicles don’t carry gasoline, by default they have the potential to be safer than traditional vehicles in the event of an auto accident, even if they are carrying the new burden of a lithium-ion battery. Many electric cars come with radar sensors and cameras pointing in all directions. They can see roadway surroundings in all light conditions and someday will help your ride navigate through city streets and interstate highways. Today, though, they’re the eyes of the car’s crash avoidance system. Even at this level, many electric cars are thoughtful enough to stomp on the brakes if you’re about to run into an unseen or unnoticed obstacle. Full autopilot systems are coming. In fact, Tesla, the young automaker famous for its innovations in electric cars, car batteries and autopilot, says each of its 500,000 Model S cars on its customer waiting list will have all of the hardware needed for full autopilot.